"Itâ€™s nice to have a family owned & run business as an option"
John does a great job and offer excellent service. 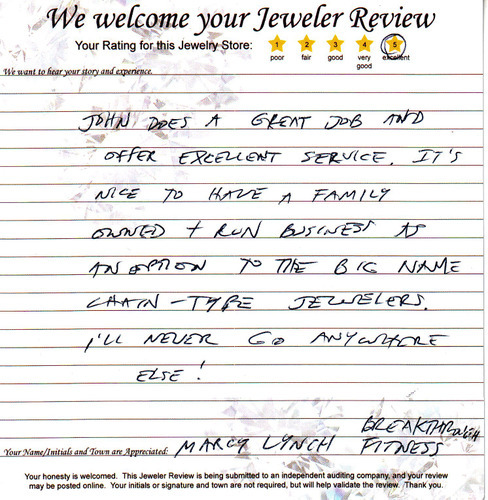 Itâ€™s nice to have a family owned & run business as an option to the big name chain-type jewelers. Iâ€™ll never go anywhere else!